If you struggle with itchy feet, chances are that you’re dealing with some sort of fungal infection. In fact, there is a condition known as athlete’s foot, which is one of the most common causes of itchiness. Athlete’s foot, as the name suggests, involves the growth and spread of a fungus called tinea pedis. Below, you will find a list of our best personal recommendations of home remedies for itchy feet. Since the main cause of this sensation is the growth of bacteria on the surface of your skin, the best way to deal with the issue is by getting rid of the fungus. And this is exactly what the treatments below all have in common. Vinegar is a powerful antiseptic that many people use in order to treat fungal infections. This is because vinegar has the ability to reduce alkaline levels in your skin, thus creating an environment that doesn’t welcome the growth and development of bacteria. Moreover, vinegar can absorb moisture, making your feet an even worse place for the fungus causing the itchiness. In a small tub or a bucket, mix 1 part vinegar with 3 parts warm water. Dip your feet in this solution for 15 minutes then thoroughly pat dry. Do this twice every day for the next week or so. Garlic is one of nature’s greatest purifying agents, being excellent for detox, for inflammations, and for getting rid of bacteria and fungi. This makes it excellent for dealing both with the possible burning sensations and with the bacteria that is causing this situation. It’s pretty clear that garlic is one of the best home remedies for itchy feet and that you shouldn’t pass on the opportunity to use it as a treatment. Take 1 garlic clove and then crush it. Mix it with 3-4 drops of olive oil. Stir everything thoroughly to get a paste. Apply this paste directly to the areas that display the itchiness and let it sit for 30 minutes. Rinse with generous amounts of water and use a light antifungal soap. Repeat this process every day until you’ve managed to get rid of the itchiness and the fungi causing it. Seeing how every household has salt, this is definitely one of the most readily available home remedies for itchy feet. Salt is a natural purifier, helping to eradicate the fungi that are causing this whole mess to begin with. However, be careful to not use this remedy if you have open wounds or gashes on your feet since it will only worsen your situation. In a small tub, mix one quart of warm water with 4 tablespoons of salt. Mix thoroughly until the salt dissolves completely in the water. Soak your feet in this solution for 10 minutes and then pat dry with a towel. Repeat this process 3-4 times throughout the day as many days as necessary. Plain, organic yogurt contains active bacterial colonies and probiotics which will fight against the harmful bacteria that inhabit your skin. 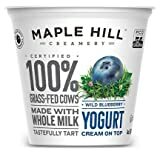 It’s an excellent natural way of getting rid of fungi, which is why going out to purchase a few cups of yogurt is going to go a long way in terms of finding help for this condition. Apply cool plain yogurt directly to your feet and let it sit for about 10 minutes. Remove with generous amounts of water. Thoroughly pat dry to remove any moisture that might cause the bacteria to reappear. Repeat this process twice a day for the next few weeks. 100% PURE AND ALL NATURAL TEA TREE OIL - Aroma Foundry will NEVER sell essential oils laced with synthetics or additives; you'll only be sniffing the good stuff. SOURCED FROM TEA TREE GROWN IN AUSTRALIA - Aroma Foundry works hard to source premium oils from luxury suppliers and native locales, not shady corners of the globe like some other companies. We pledge to be as transparent about the location we've sourced from as possible so you know and trust what you're using. HAND BOTTLED IN CALIFORNIA - Upon receiving the oils and confirming the quality, our oils are hand bottled with care in California in numbered small batches and then inspected and boxed. Our high touch, detailed process ensures you'll receive a product you'll love. 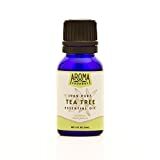 VERSATILE TEA TREE OIL - Our highly concentrated Tea Tree Oil packs a potent punch in aromatherapy diffusers. It will also stand out in soaps, perfumes, deodorants, candle making, masTEA TREE oils, room sprays, bath salts, natural remedies, body wash, cleaning products, and other home care needs. 100% SATISFACTION GUARANTEED - Buy with confidence. You'll love Aroma Foundry essential oils, or we'll give your money back. Caution: Because our oils are so potent, pregnant women should consult a doctor before using, keep out of reach of children, and dilute with carrier oils before applying to skin. Not for internal use. Tea tree oil has strong antiseptic and antifungal properties that make it part of the most fantastic home remedies for itchy feet. Its strong properties will help remove the fungi from the surface of your skin, killing the bacteria and leaving you feeling good again. Tea tree oil is also one of the best home remedies for foot fungus. Mix equal amounts of pure tea tree oil and vegetable oil. Rub the mixture on the affected skin twice a day. Follow this remedy for the next few weeks to forestall the return of this annoying disease. Combine 3 parts of tea tree oil and one part of Aloe Vera gel. Rub the mixture on the infected skin two times every day for 6 to 8 weeks. Cinnamon has two primary uses which make it one of the best home remedies for itchy feet around. It will begin by destroying bacteria thanks to its excellent antiseptic properties. Furthermore, it can help getting rid of fungi even faster thanks to its antiperspirant nature that gets rid of natural moisture and creates an unwelcoming environment. Firstly, break eight to ten cinnamon sticks into tiny parts. Add the cinnamon stick bits to four cups of boiling water. Let this blend simmer for 5 minutes on low heat. Let it steep for 45 minutes. Soak your feet inside of this solution for a minimum of 1 hour. Finish off by patting your feet dry. Repeat this treatment 1-2 times a day until you achieve the results that you’re looking for. Lavender oil is a fantastic natural antiseptic and antiperspirant that’s going to help you get rid of this pesky issue. Moreover, you will also be able to stop worrying about the unpleasant odor that often comes paired with the fungi causing the itchiness. All you need is a bottle of lavender essential oil and you’ll be able to treat this condition in a very natural and easy manner. Related post – You can also check out these home remedies for stinky feet. 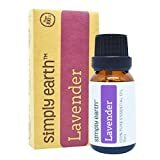 Mix a number of drops of lavender oil with some carrier oil, like olive or jojoba oil, and apply it directly to your feet over the infected areas. Leave the oil on to work its magic for about 5-10 minutes. Lastly, clean off using a paper towel or generous amounts of water. Repeat the treatment daily to get the results you’re looking for. Please Note: Kendall Brands are now part of Covidien, product names and packaging may reflect changes. Petroleum jelly is one of the home remedies for itchy feet that you should absolutely consider. It’s fantastic because it absorbs moisture from the skin, thus creating an unfriendly environment for the pesky bacteria inhabiting your skin and causing this issue. In no time, the fungi will disappear and you’ll be able to enjoy the sensation of itch-free skin. Apply a generous coating of petroleum jelly to your feet and then cover up with an old pair of socks. Leave it act overnight and then remove next morning by taking a shower. Repeat this remedy every night before going to bed for the next few days. Length: 20 yards Width:about 1". Even though olive oil can definitely help, olive leaves can actually be a lot more useful when you’re trying to get rid of itchiness and the bacteria that are behind this unpleasantness. 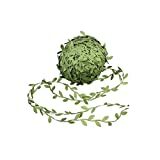 Grind a couple of olive leaves into a paste. Grab some cotton balls an dip them in this mixture. Apply the paste directly on the affected skin. Cover the skin patch with tape and leave it on for 30 minutes. Rinse your feet with lukewarm water and finish off by drying off completely. Repeat this remedy 2-3 times a day for however long it takes to get rid of this issue. Baking soda balances pH levels on your skin, thus creating an environment that doesn’t facilitate the growth and development of bacteria. Moreover, it absorbs moisture, further enhancing its own beneficial effects. It’s one of the most popular and widely-used home remedies for itchy feet. This can also be used as a home remedy for sweaty feet. Start by adding a bit of water to 1 tablespoon of baking soda and create a paste. Rub the paste between the toes. Leave it on for a few minutes then rinse with lukewarm water. Follow this remedy 2 or 3 times on a daily basis for a few weeks. Onions are some of nature’s best antioxidants, being able to absorb toxins and harmful life forms such as bacteria and fungi. Even though the scent might be a bit unpleasant, it’s definitely worth it for how helpful onions are in dealing with this particular issue. Grind 2 onions and then strain the juice with the assistance of a filter. Wash the affected space using an anti fungal soap then apply this juice to the infected area. Leave it on for half an hour for good results. Apply dusting powder to prevent moisture buildup. Follow this remedy twice on a daily basis for a minimum of a month. Peppermint oil is cooling and soothing, providing instant relief to the annoying feeling of itchiness stemming from the fungi inhabiting your skin. Although it may not necessarily help get rid of the bacteria, it’s useful when you use it in parallel with a remedy that does. All you have to do is add 4-5 drops peppermint oil to a small tub filled with warm water. Soak your feet in this solution for 15 minutes and then pat dry completely. Repeat daily until you see the results that you desire. Although most of the time itchy feet mean that there’s a fungal infection present on your skin, it’s definitely no reason to despair. You can swiftly get rid of it by treating it with either of the home remedies for itchy feet that we’ve just recommended. If you have given either of them a shot yet let us know which one would you call miracle-inducing. Share your experience with these natural treatments in the comment section below and spread the word about some of the top solutions for this pesky issue. Itchy feet can be treated with Methylated Spirits. Soak a wadding with Meths and apply to the spot directly, keep it covered while it burns a little. Half an hour later the itch is gone for ever. i’M NOT SURE IT WILL HELP IN EVERY CASE BUT IT DID IN MY CASE. iF IT PERSISTS, PLEASE SEE YOUR DOCTOR. Thank you for that suggestion, Chasennov! We will be sure to add it to our list of remedies for itchy feet as soon as possible. After suffering at night with itching between my Toes and and outward on my feet for the past year, my wife knowing that witch hazel was helpful for hemorrhoids suggested I try it on my toes and feet.For the first time I have not had any itching at all! You can get witch hazel at Walmart or family Dolla, give it a try! Thank you, Joel! We’ll make sure to add that to our list of remedies! I could be wrong about this but I could have sworn that I heard that cloves help relieve itchy feet. The next time I have it I will try it and let you know if it helps. But I couldn’t help but laugh when you said that garlic and onions are remedies. All that was going through my mind was PEEE-EWWWWW! Thanks for sharing these home remedies for itchy feet. I used to have athlete’s foot when I was a kid and was forced to endure those over-the-counter “relief” treatments that hurt like anything. I regret I didn’t know about these when I was younger. We are glad we could help, Gary! Make sure to use them if you ever need to again! On behalf of people with itchy feet everywhere, thank you for the home remedies for itchy feet. I never thought I’d see 13 home remedies for itchy feet, but your team has obviously spend a lot of time tracking down solutions for this foot problem. When you say vinegar is a treatment, is this different say, apple cider vinegar? I know I’ve seen apple cider vinegar as a home remedy for other ailments. You can use any type of vinegar for this remedy for itchy feet, white vinegar as well as apple cider vinegar both work.